Born in 1967 in Germany, Oliver struggled through a harsh childhood. The first light in his life was as a teenager when he met Krista, but had to lose her when moving off again. After 12 dark years of separation, he met her again and finally married his teenage darling. Since then his ways changed, turning and becoming the man he was supposed to be. Soon he also became father of two excellent sons. Married to the love of his life, he overcame the demons from his past as well as the consequences of a rare disease. Krista searched and found his biological father, a Cherokee Lumbee from Pembroke, North Carolina. After introduction to his new family and the whole tribe, Oliver and Krista decided to jump over the big pond, pursuing a second life together in the rural Robeson County. While Krista gathers chicken, goats, sheep, pigs, dogs, and even a horse, Oliver built coups, shelters and corrals. 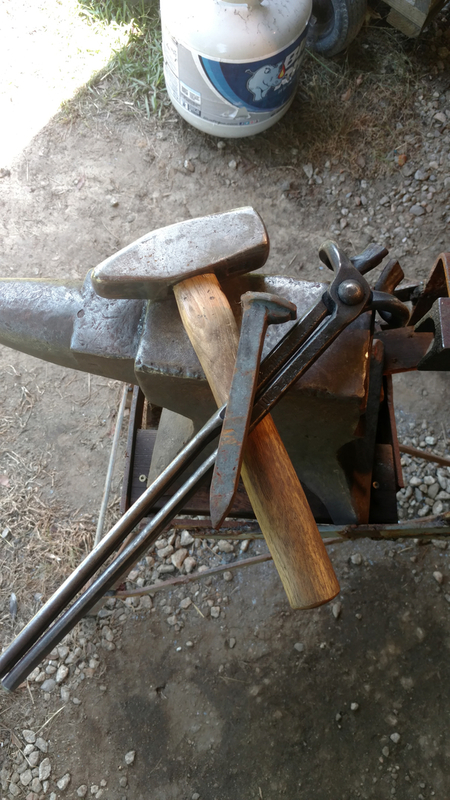 The sons wanted to blacksmith, so Oliver designed and built a furnace in a metal barrel, bought an old anvil and a vice from the 18th century and established a backyard forge. The sons moved on and Oliver kept sticking with it, not to let the effort turn to waste. 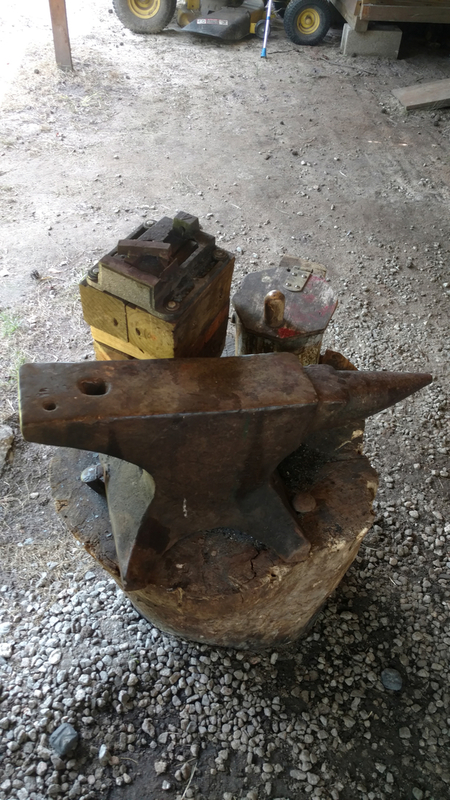 Inspired by a picture of a railroad-spike hatchet and knife he got hooked on spike-forging. 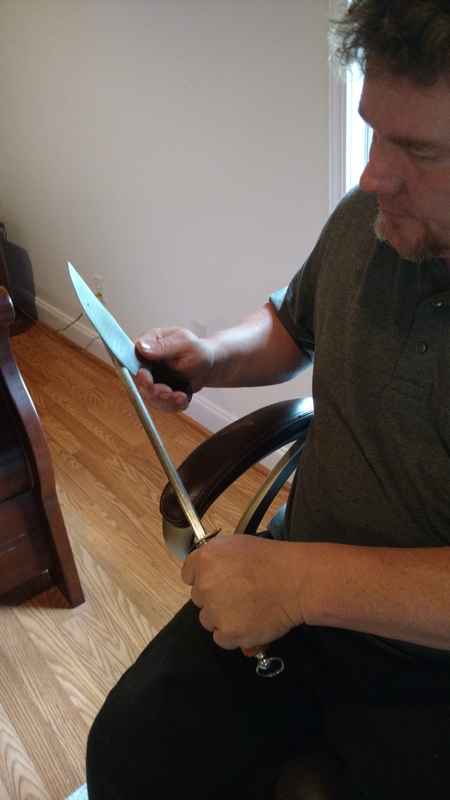 In the autumn of 2015, he was excited by the various possibilities by recycling vintage spikes into amazing unique knifes. Combined with some experience from previous leather-working, Oliver was also crafts the knife sheaths himself. Oliver has developed his worldwide unique technique of attaching a self-molded piece of leather to the iron hilts. Due to an unmatched product and quite insisting friends, finally Oliver gave in and has lifted his hobby to the next level - his own business. Oliver is sharing his knowledge of his craft, as he offers classes in forging and making leather sheaths.